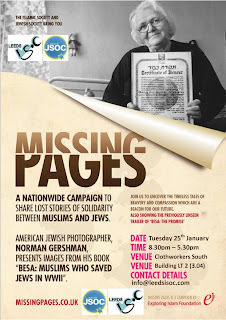 Muslims voice their solidarity with Jews today launching Missing Pages, a campaign highlighting forgotten stories from the Holocaust. The Exploring Islam Foundation campaign challenges misconceptions about the relationship between Jews and Muslims and is supported by Chief Rabbi Lord Sacks. Launching in the week of Holocaust Memorial Day, Missing Pages voices Muslim solidarity with its aims and principles and draws on historical examples of peaceful co-existence between peoples of the two faiths. The campaign will be launched at the House of Lords today at which Jewish World War II survivor Dr Scarlett Epstein OBE, who was given asylum in Albania during the Holocaust, will be speaking. 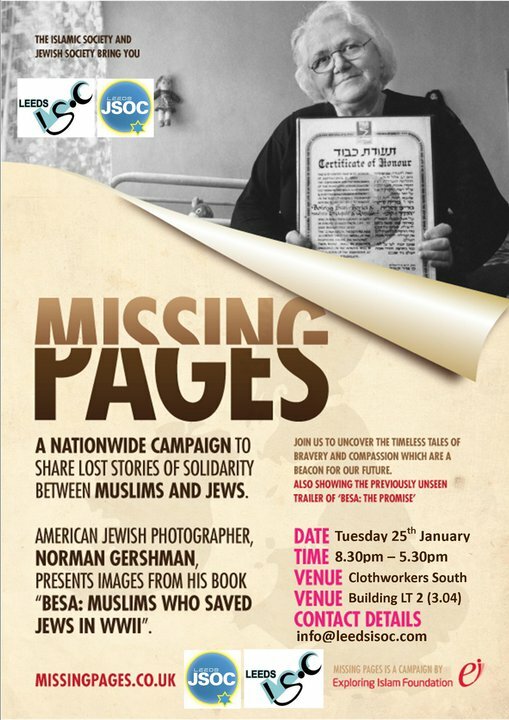 Also speaking will be celebrated Jewish American photographer, Norman Gershman, who will be talking about his project - Besa – Muslims who saved Jews in World War II. Gershman’s photographs are currently touring the UK in an exhibition which has been jointly sponsored by the Exploring Islam Foundation and Yad Vashem (the Holocaust Memorial in Israel). EIF Campaigns director, Remona Aly said: "We are launching this campaign today because we want to show how Islam promotes diversity and co-existence and has no tolerance of anti-Semitism. "The message of the "Missing Pages" campaign is more vital now than ever before. Tensions in the Middle East need to be separated from the common shared theological heritage and values of the two faiths, and history of peace and solidarity between Islam and Judaism. Brussels: "We need a law to ban the burqa"
Germany: "No better than prison"
UK: Race, culture or religion?